During a four-week stretch from Sept. 15 thru Oct. 15, we recognize National Hispanic Heritage Month and the contributions of Hispanic and Latino Americans. It is about acknowledging those who have had a positive impact on our country along with a strong commitment to hard work, faith and family. Cristian Santana embodies all the things that are celebrated during this time with his four years of active military service in the United States Army. 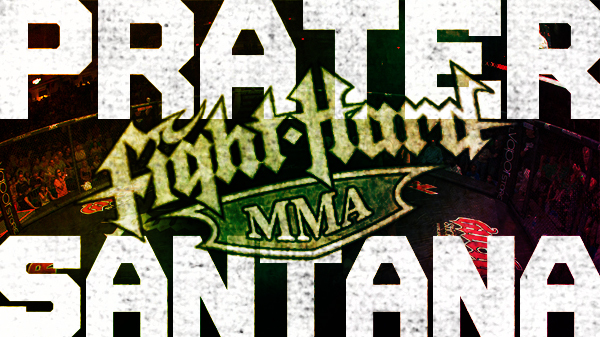 Santana (5-0) will make his Fight Hard MMA debut in the main event at the Family Arena in front of a near capacity crowd when Fight Hard Nation invades St Charles on Saturday night. He takes on rising amateur star Montuelle Prater (14-8) in the featherweight division. Prater, 23, shined on the Fight Hard MMA stage in July on the co-main event. 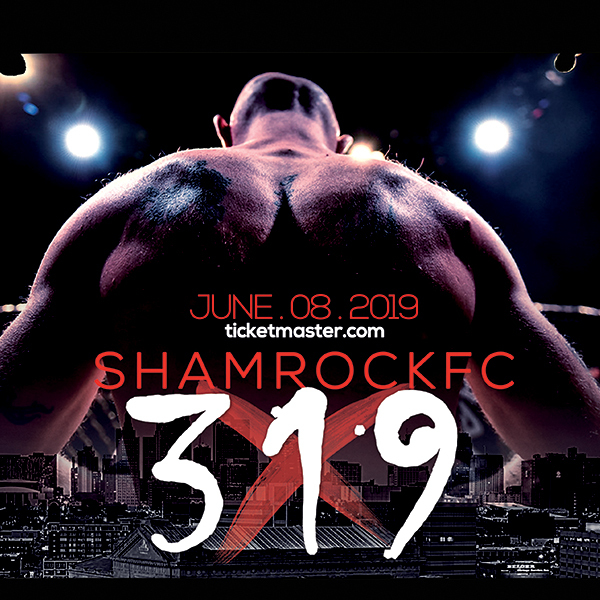 He was able to stop the crowd favorite Jeremiah Curtright in the third round via verbal submission due to kicks to the leg in what proved to be a dominant performance for Prather. "I don't know anything about my opponent," Santana said. "To me a fight happens naturally and you have to adjust to your opponent in the cage." Santana has been the toast of the Hispanic community this week with appearances and radio interviews. He was out promoting his Fight Hard MMA debut on Ke Bueno WQQW 1510 on St Louis airwaves Wednesday in conjunction with Hispanic Heritage Month. St Louis has a strong Hispanic following who has started to get behind him already. You could expect a strong following for Santana and great support on Saturday. One of his biggest influences has been his brother Carlos Santana who fights locally and has continued to push Cristian as he ascends on the local MMA scene. Santana, 23, has goals of one day being a world boxing champion and trains out of The Boxing Gym in the Central West End. He has been busy during the course of 2013, going 6-0 in the boxing ring. He took his first MMA match in May and comes into Saturday with a 5-0 record. It will be a certain leap in competition as he meets a dangerous, versatile mixed martial artist in Prater. But Santana knows all about danger firsthand. He served a four-year military contract 2008-2012 after graduating from Cleveland High School ROTC in May of 2008. While in the military he had extensive training in infantry and combat training. His service to our country included being deployed to Iraq twice and six months of active duty in Afghanistan in 2012. Santana is a graduate of Army Sniper School. He was promoted to Army Sergeant in 2011 and later that same year completed Marine Mountain Scout Sniper School at the Bridgeport California Marine Base. While in the Army he used down time weight training, he competed in powerlifting and spent time boxing. He took a try at a three-day boxing tournament where he racked up eight fights and did well enough to continue training after the Army. Competing at a high level and at the end of his military contract, he returned to South St Louis and began training at the Boxing Gym where he has maintained his love for all things cardio and in the name of conditioning. Santana falls back on the basic training philosophy of having excellent cardio as the foundation of your training. He labors over it to the point that he doesn't spar often and prefers to keep his body fresh for competition with speed bag training and detailed sessions on the mitts. For Santana, it's about keeping his hand speed sharp and fast. He is coached by Rick Thomas (boxing/kickboxing) and Jim Cordes (MMA). Santana is coming off a three-round split decision over Tyler Hubbs at Rumble Time in the Park September 21 in Forest Park at the Dwight Davis Tennis Center. Prater has been an active as anyone in 2013. He makes his return to Fight Hard with a 6-0 record on the year. He recently defeated Joe Roye on the Proving Grounds Inner Circle Promotion. He stopped Roye late in the second round via technical knockout posting his 14th victory in early September. Prater has become more than just an explosive striker in 2013. The Cahokia MMA product spent significant time honing various disciplines including grappling, jiu-jitsu, kickboxing and wrestling. The number one thing Prather has shown in his last three fights is drastically improved cardio conditioning. "I can't wait for this fight," Prater said. "I have continued to work hard and I know that hard work will pay off for me moving forward." He is coached by Jerald Rios and Yohance Flager. Check out Fight Hard MMA Saturday. The doors open at 5:30 pm for all of Fight Hard Nation. Knuckle Junkies special pre-fight guest will be Susie "Mama Beast" Wyatt from 6-7 pm. The co-main event has Scott "The General" Futrell (MCS) and Jesse "The Predator" Farmer squaring off in the middleweight division. Visit Fight Hard MMA on Facebook for complete ticket information.